Bethesda's teaser for Fallout 76 has left fans hungry for answers. This morning, Bethesda unveiled a teaser trailer for a brand new entry in the Fallout series, Fallout 76. The game was hinted at yesterday via Twitch live stream, during which a Pip Boy mascot sat on a desk in front of a screen that read “Standing By” for hours on end. Despite the uneventful nature of the stream, there were nevertheless a few low key surprises, including someone wearing an Elder Scrolls shirt whispering in Pip Boy’s ear. Could this hint at an Elder Scrolls 6 reveal at E3 2018? While we admit it’s unlikely, the fact that Bethesda has chosen to reveal Fallout 76 before E3 could hint that they have something big planned. All in all, today’s trailer doesn’t reveal much in terms of gameplay. Instead, it sets the stage for what fans can expect from Fallout 76 once it’s finally released. Want to know more? Here’s everything we know about Fallout 76! Fallout 76 is the latest entry in the Fallout series currently being developed by Bethesda Game Studios. The game ties in to Vault 76, a location players have never before visited though it has been teased in games like Fallout 3 and Fallout 4. According to the Fallout Wiki, Vault 76 was occupied by a control group and was intended to open 20 years after a nuclear fallout. Aside from the new location, Fallout 76 will also be set before any of the other Fallout games. 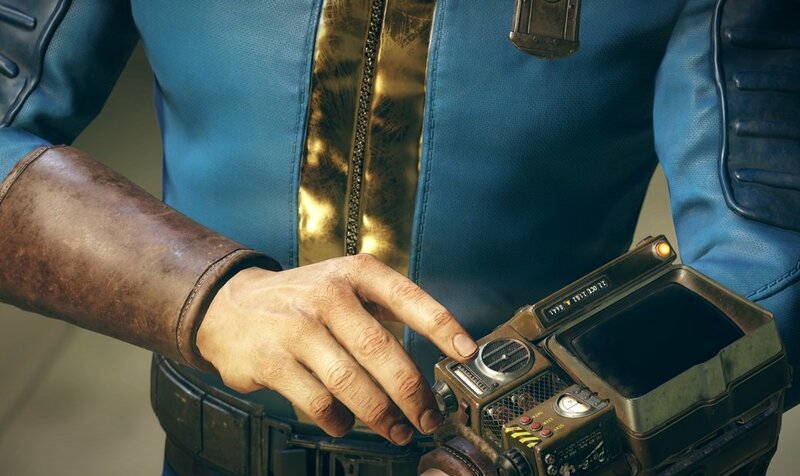 The year 2102 can be seen at the beginning of the trailer and on a Pip Boy device at the end of the trailer. This means it could take place over 60 years prior to the events of the first Fallout game which was set in 2161. The rest of the series has progressed forward, with Fallout 2 set in 2241, Fallout 3 in 2277, Fallout New Vegas in 2281, and Fallout 4 in 2287. Now that we know Fallout 76 is likely going backwards, Fallout 76 could wind up being a prequel of some kind. Other points of interest in the trailer include a giant poster for Reclamation Day. However, the dates don’t exactly line up if the vault was intended to be opened 20 years. This hints that 25 years have passed, so perhaps something went wrong? In terms of setting, the song “Country Roads” by John Denver is heard playing in the background which references West Virginia in the lyrics. 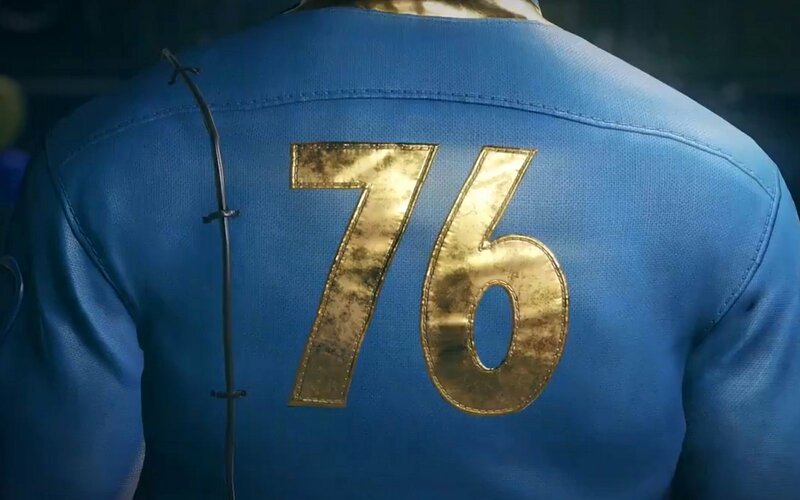 It’s possible Fallout 76 could be located in West Virginia, although the trailer doesn’t show us anything outside Vault 76 so it’s difficult to verify. What is the Release Date for Fallout 76? Unfortunately, no release date was mentioned in the teaser trailer though Bethesda has confirmed that Fallout 76 will release for PS4, Xbox One, and PC. One release date theory stems from the main date we see in the trailer, October 27, 2102. With that in mind, it’s definitely plausible that Fallout 76 will release on October 27. For a confirmed Fallout 76 release date, be sure to tune into Bethesda’s press conference at E3 which is scheduled for Sunday, June 10 at 6:30 p.m. (PST) and 9:30 p.m. (EST).